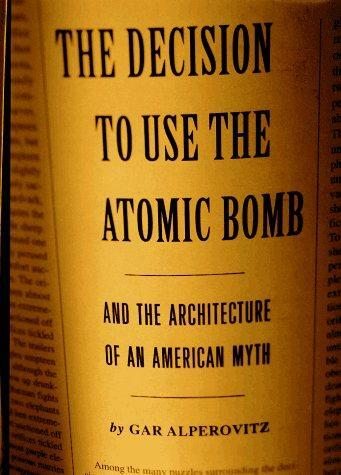 1 edition of The decision to use the atomic bomb and the architecture of ... found in the catalog. Add another edition? Are you sure you want to remove The decision to use the atomic bomb and the architecture of an American myth from your list? 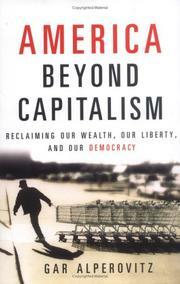 Published 1995 by Knopf in New York . One of the most controversial issues absorbing America today: Was it necessary to drop the atomic bombs on Hiroshima and Nagasaki? 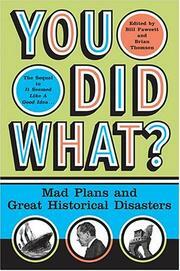 Fifty years after the fateful summer of 1945, we are still debating Harry Truman's decision. 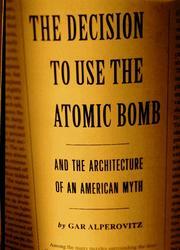 Now, in an exhaustive, thoroughly documented study of the events of that time, Gar Alperovitz makes plain why the United States did not need to deploy the bomb, how Truman was advised of alternatives to it by nearly every civilian and military adviser, and how his final decision was later justified by what amounted to a deception - the claim that the action saved half a million to a million American soldiers who might otherwise have died in an invasion. 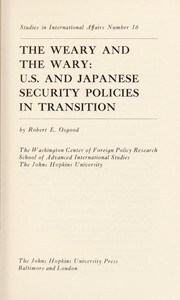 Alperovitz demonstrates that Japan was close to surrender, that it was profoundly threatened by the prospect of Soviet entry into the war, and that American leaders knew the end was near. Military commanders like Eisenhower, Arnold, and Leahy saw no need to use the bomb; most of Truman's key Cabinet members urged a clarification of the position of Japan's Emperor to speed surrender. But the inexperienced president listened most intently to his incoming secretary of state, James F. Byrnes, and Byrnes was convinced the bomb would be an important diplomatic instrument in dealing with the Soviets. Includes bibliographical references (p. -811) and index. April 3, 2011 Edited by ImportBot Found a matching record from Internet Archive .